Waiting on Wednesday is a weekly meme hosted by Breaking The Spine that spotlights upcoming releases that we are eagerly anticipating. When Willa Dixon’s brother dies on the family lobster boat, her father forbids Willa from stepping foot on the deck again. With her family suffering, she’ll do anything to help out—even visiting the Grey Man. 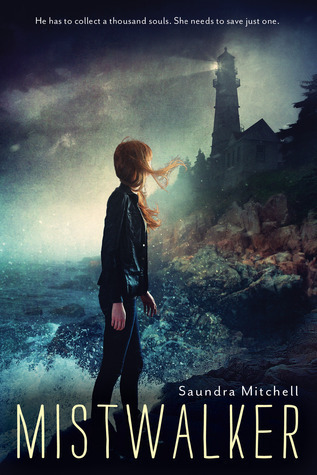 Everyone in her small Maine town knows of this legendary spirit who haunts the lighthouse, controlling the fog and the fate of any vessel within his reach. But what Willa finds in the lighthouse isn’t a spirit at all, but a young man trapped inside until he collects one thousand souls. Desperate to escape his cursed existence, Grey tries to seduce Willa to take his place. With her life on land in shambles, will she sacrifice herself? Great pick! I hope you'll enjoy it. Ooh, sounds interesting! I'll need to check it out! Oh, wow, this sounds so creepy yet somehow romantic! I've never heard of it before but it's definitely going on to my TBR list. Great pick!